We may be a step closer in understanding what causes autism, say University of Missouri researchers after finding differences between the facial characteristics of children who have autism and those who don’t. 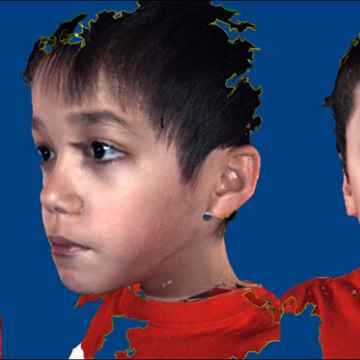 When researchers took three-dimensional images of the children, they discovered autistic children have a broader upper face with wider eyes, a shorter middle region of the face including the cheeks and nose and a broader or wider mouth and philtrum -- the area below the nose and above the top lip. Researchers also noticed even more differences in a smaller group of autistic children. Aldridge says the images provide a clue to what happens in the embryo during the middle of the first trimester of pregnancy when the face begins to develop. It may help researchers understand if something environmentally or genetically is happening in the uterus during pregnancy that causes autism. “This is clear support that the cause of autism is likely happening before birth,” Aldridge says. “This allows us to start looking at those hypotheses more directly.